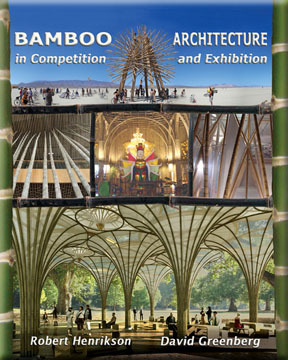 Fascinating bamboo buildings and architectural designs from around the world from the International Bamboo Building Design Competition, the 2010 Shanghai World Expo and several other competitions and exhibitions. Architects and designers from 64 countries submitted 250 designs in 12 building categories such as family houses, urban buildings, emergency shelters, commercial and public buildings, pavilions, and even tree houses. 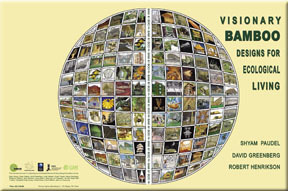 The buildings use bamboo and other natural building materials, and range from modest to majestic, commercial to humanitarian, and practical to fanciful. The results are exciting and innovative, providing a fresh outlook for the possibilities for using bamboo to build a new green world. This competition was created to develop new award winning designs for bamboo buildings, raise awareness of the use of certified structural bamboo for building code approved structures, and introduce architects, designers and builders to working with bamboo as a structural material. Registrants entered from 64 countries around the planet and submitted 250 designs in 12 building categories. 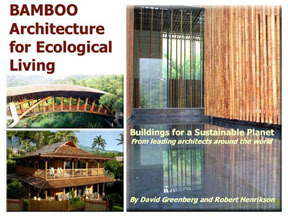 Green living in bamboo buildings, showcasing 25 architectural projects.